Back in July, Motorola brought the new Moto G family to the US as the Moto G4 and Moto G4 Plus (unboxing). 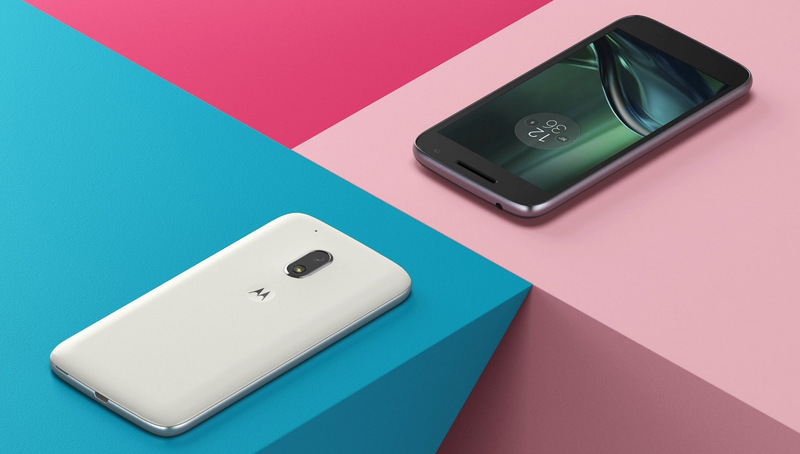 Today, they are adding to the family by also introducing the Moto G4 Play, a phone that manages to be even less expensive, yet avoids dropping all of the way down to the Moto E family. Starting at just $149.99, you are looking at a phone with a Snapdragon 410 quad-core processor, 2GB RAM, 16GB storage with microSD support, 5-inch HD (720p) display, 2800mAh battery, 8MP rear camera (f/2.2), 5MP front camera (f/2.2), water repellent coating, and Android 6.0.1. As you can tell from that last, this isn’t even really a mid-range device and really there for those on a strict budget. It comes in either black or white. Speaking of budgets, if $149.99 is too much for you, the Moto G4 Play is the latest Amazon Prime Exclusive phone, which means you can get one with Amazon ads embedded on the lock screen for even cheaper. At $99.99, this phone can be yours, assuming you don’t mind living with an Amazon ad or two. In terms of connectivity, Motorola is selling the Moto G4 Play as an unlocked phone (XT1607) that works on all major US carriers. They will also sell a Verizon-specific version (XT1609) as a prepaid device. But again, the unlocked version works on Verizon too. The new Moto G4 Play is up for pre-order today at Amazon, B&H Photo, and Motorola.com. On September 15, pre-orders and store availability arrive, with Motorola and Verizon adding themselves to the list.